Q: When the jnani dies, is there some power left in his body? Many people worship at the samadhi shrines of jnanis. M: What is the body? It was formed out of the five elements and it will eventually decompose into the same five elements again. When the body has decomposed, where will the power reside? Q: So none of the jnani's power stays in the body? M: The jnani is not the body while he is alive, and he is not the body when he dies. Both before and after the death of the physical body he only exists as the formless Self. That Self is allpowerful. When an advanced devotee dies, his "I" thought may take birth in a subtle body which associates itself with his samadhi shrine. Such a subtle body may have some power which it can use to help devotees who wirship at the shrine to fulfil their desires. A jnani cannot assume a subtle body like this after his death because his I-thought is no longer existing. The jnani remains as the formless self when he dies, so you cannot say that there is more of his power at his shrine than in other places. Q: So jnanis' samadhis have no use at all? M: They are good places for concentration but they do not contain the power of the living Guru. While he is alive the jnani can transmit the grace of the Self to devotees. A body is needed to transmit and channel this power, and when the jnani's body dies, this power of transmission also disappears. While he is alive the jnani can use his power to quieten devotees' minds, and even bring them to an experience of the Self. The power in a jnani's samadhi is of a lesser order; it cannot provide the grace to realize the Self. Only a living Guru can do this. Q: You say that when a jnani dies he does not exist in any perceivable form. Some people still see vision of Ramana Maharshi. Does this not prove that his presence still remains even though he is no longer in the body? M: These visions are only in the mind. Since Ramana Maharshi is not the mind, how can these visions be him? The mind brings them into existence, and apart from the mind they do not exist. 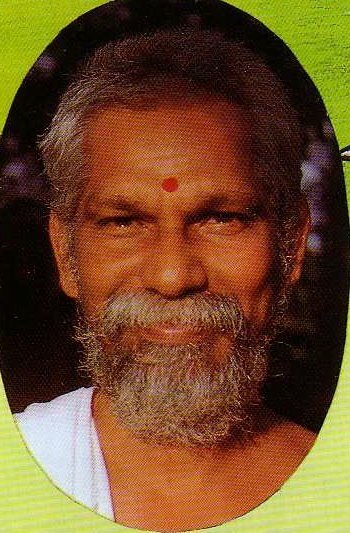 Q: Some people have dreams of Ramana Maharshi without ever having heard of him before. If Ramana Maharshi is not now existing in any way, how can this happen? M: This is still only a product of imagination. Whatever you perceive cannot be Ramana Maharshi because Ramana Maharshi is now the formless Self, and the Self cannot be perceived. One's vasanas (mental habits, inclinations or tendencies) may cause an image of Ramana Maharshi to appear, even if one has never heard of him before, but he is neither the image nor the cause of the image.